A simple story about making an appointment to see the dentist for a check up. 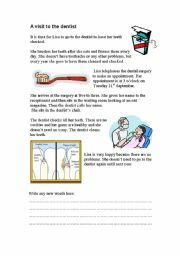 Comprehension questions and useful conversation practice for making appointments and attending the dentist´s surgery. 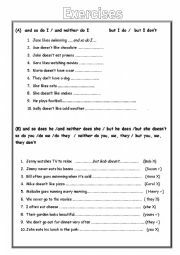 Exercises to practise using: So do I / neither do I - But I do /but I don´t etc. Elementary to pre-intermediate. Fully editable. Answer Key included. An intriguing story. 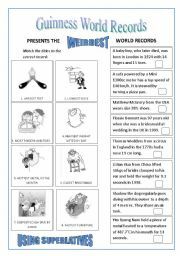 Includes a set of comprehension questions. 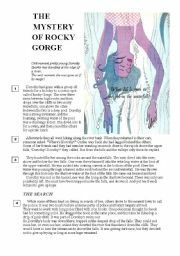 The paragraphs are numbered to guide the student through the text. Lots of good vocabulary and things to discuss. Suggested answer key included. 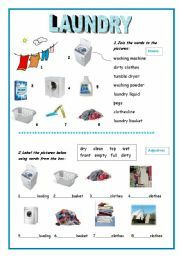 A worksheet based on vocabulary pertaining to the laundry. A good way of introducing beginners to Nouns, Adjectives & Verbs (present continuous / simple present) by using these words in 6 different exercises. Fully editable. Answer key included. 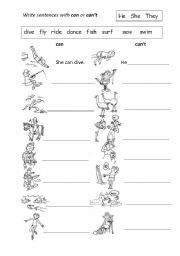 A worksheet to practice using can and can´t. Includes revision of He She and They. 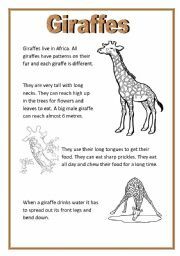 A reading about giraffes followed by exercises including: True and False, Fill the Gap, a Crossword, sorting words into parts of speech and more. 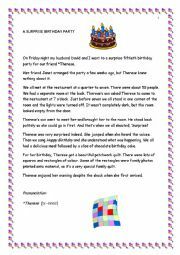 All at different levels to cater for students of differing abilities. Fully editable. 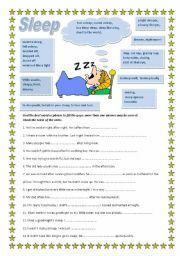 Vocabulary builder - Different words and phrases used in relation to sleep. A fill the gap exercise to practise putting these into context. Includes some informal phrases. Fully editable. Answer key included.